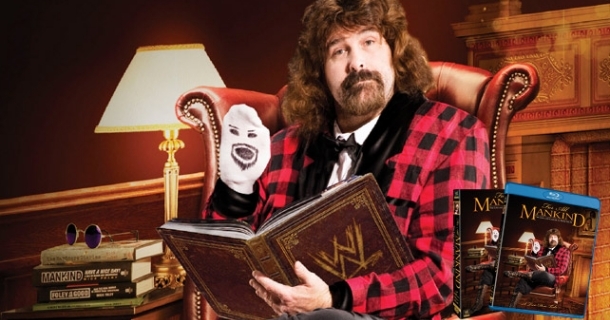 Yet another preview video is available to watch in the run up to next month’s DVD and Blu-ray release – “For All Mankind – The Life and Career of Mick Foley“! Check out the documentary intro. In full the main feature runs 2 hours and 14 minutes. Click here to pre-order your copy for April 16th in the United States. “For All Mankind” will also be released in April to the UK and Europe over at WWEDVD.co.uk, and it follows on to Shock Australia’s website WWEDVD.com.au early the next month. Love the picture thing they did at the start there. Very intelligent. Already ordered, can’t wait. Looks great.